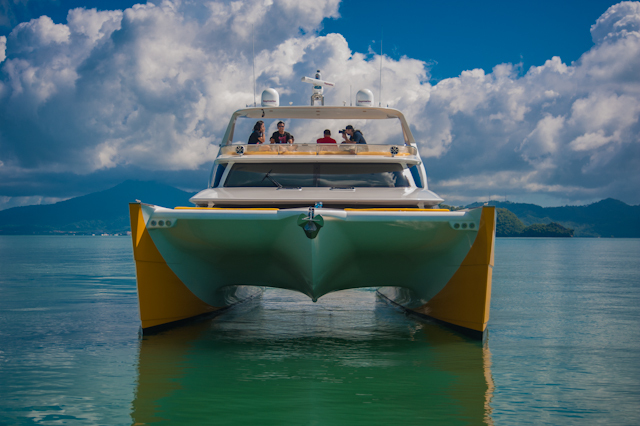 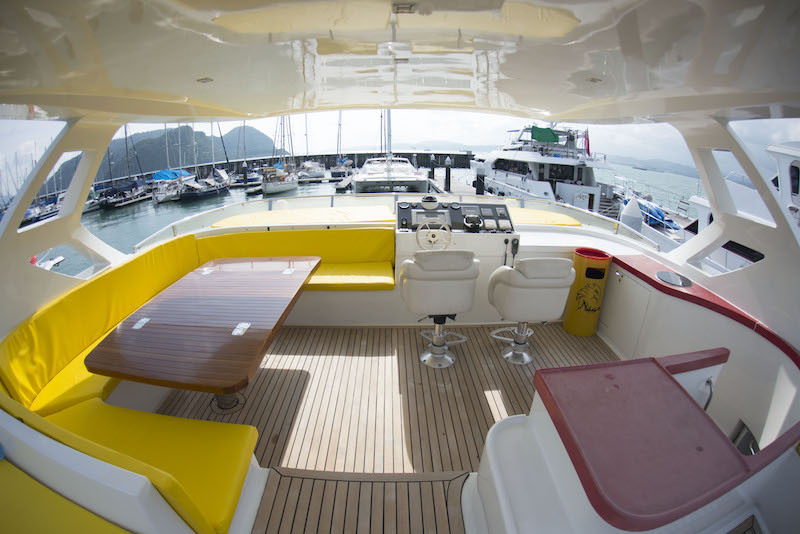 This stylish, custom-built two-tiered catamaran simply embodies the good life at sea. 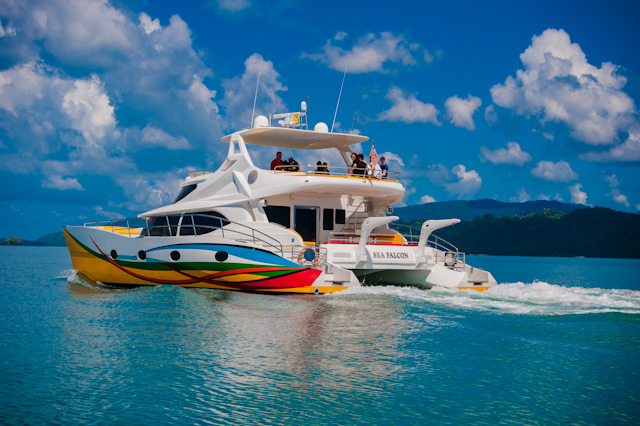 Matching sensuously sleek lines and luxurious décor with high technology, the Sea Falcon is perfect for both romantic getaways and elegant cocktail parties. 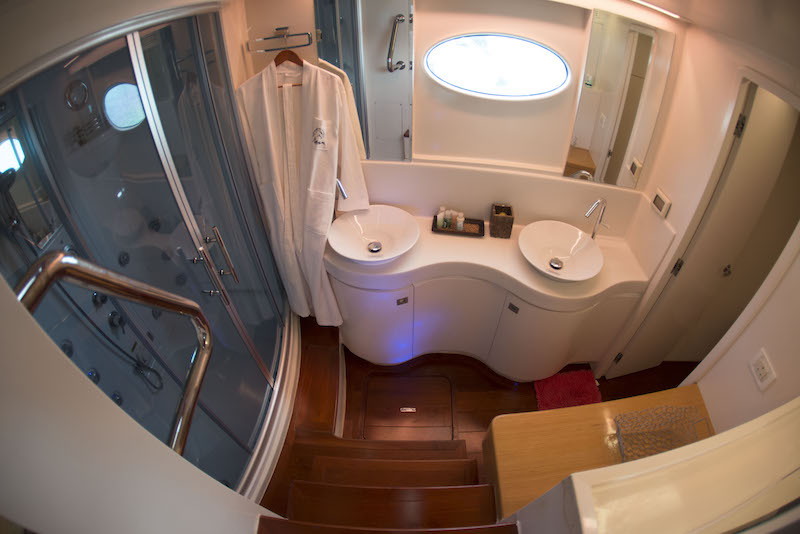 The boat design ingeniously maximises space, with two sundecks, a lounge, dining room, galley and navigation room plus a gorgeous private suite with a large flat-screen television. 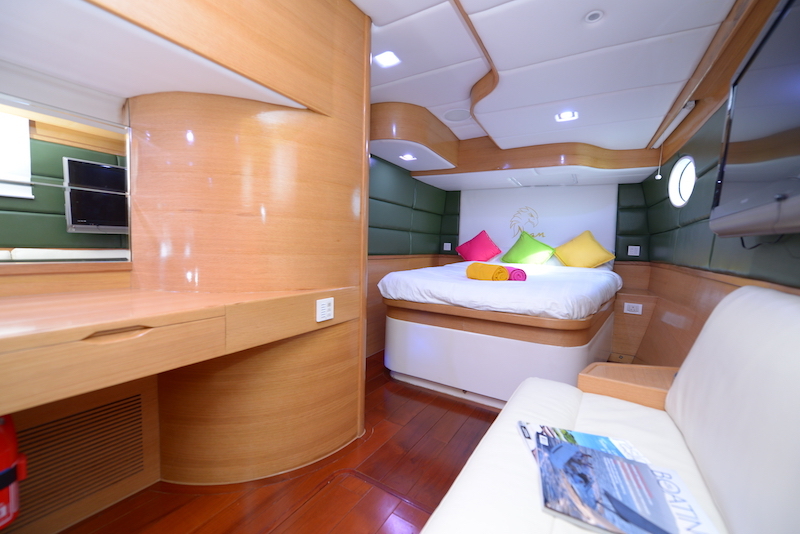 A state-of-the art lighting and sound system controlled by iPad provides a plush visual and sonic ambience.